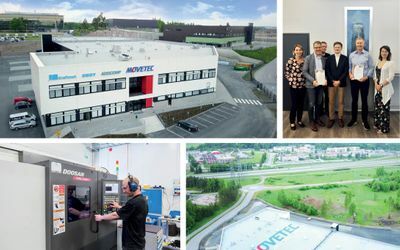 We at Movetec Oy provide our customers with solutions within automation, mechanics and industrial IT by selling, marketing, machining and installing mechatronic components and systems. We always offer solutions based on customer needs and our expertise and service are always at hand. We aim at being the leading mechatronics provider in Finland. Our international supplier network consists of the best and the most comprehensive industrial brands in the world. Our suppliers work continuously on developing new technology based on the requirements of the future. We always aim at being on top of the newest innovations and trends and communicating them to our customers. Movetec is a specialist in mechatronics, the mix of mechanical engineering, electronics and industrial IoT.